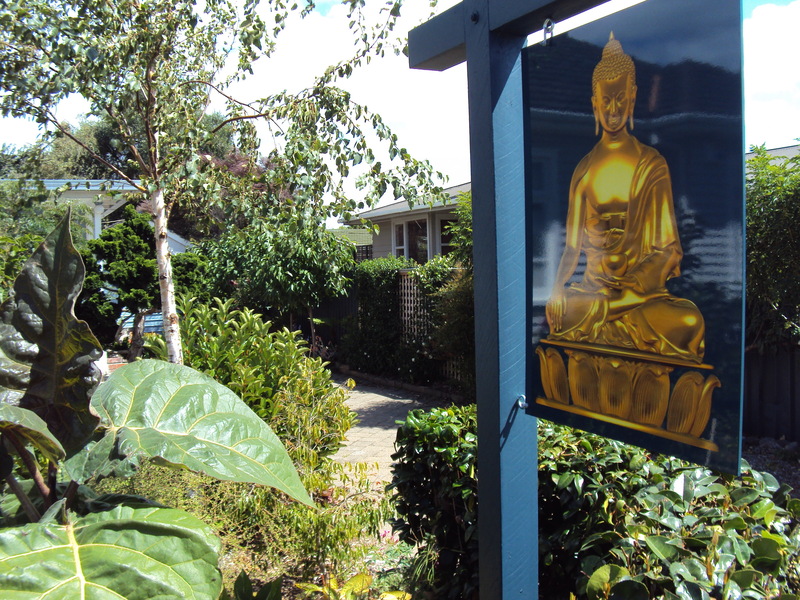 The Amitabha Centre was established in Palmerston North in 2004, when our resident teacher, Gen Kelsang Demo, moved here in order to set up a base here. She worked hard, not only to provide regular classes at the centre, but also to establish regional classes in Dannevirke, Levin, Feilding, Whanganui, Waipukurau, Masterton and New Plymouth. Classes have depended on the availability of teachers - so sadly we don't have regular classes in all regions at all times! Currently, we have regular classes in Levin, Whanganui and Dannevirke, but are hoping to run some weekend half or full day classes in other regions when possible. In addition, we have classes at the hospital, the cancer society, the city council and Whakapai Hauora. We also participate in the Palmerston North interfaith group.We also used to run a weekly class at Kaitoke prison - but this is currently not possible due to changes in the prison timetable. We moved into the current location in 2012, and transformed what was a pretty ordinary run-down suburban house into a small oasis of peace and calm! Demo and Deden (who are both Buddhist nuns) live in the house at the front of the property, and if you go towards the back garden you will see a covered sitting area and the 'Gompa' - the meditation room where we hold classes, and have formal Buddhist prayers and ceremonies. The room itself is a place of 'quiet learning' - there are statues of various Buddhas on a shrine at the front - together with simple but quite beautiful offerings. There are not too many rules!!! We usually leave our shoes at the door. And when you come into the centre you can either sit on a chair, or on cushions on the floor. We usually stand when our teacher comes into the room, and there are some special teachings and ceremonies when we are 'silent' - but in general things are very relaxed and friendly, and in most classes there is time to talk with others and ask questions. If you are coming along to class for the first time, Deden will usually be the person who will greet you at the door, and many of the students are regulars who are always willing to help explain things if you are uncertain of what to do. The garden at the centre is a delight. When the weather is fine, we often have lunch or coffee outside on day courses or after class. In the winter, we retreat inside and enjoy the fire. If you are attending one of the regional classes, please feel free to drop in and visit the centre if you are in Palmerston North. There is usually somebody at home, though you can always ring beforehand to check.